Today I preached at the Riverside Baptist Church of Hutchinson, Kansas. Pastor Richard Haley has been their pastor for 9 years and is doing a wonderful job. The buildings were packed out this morning and by the end of the day 17 salvation decisions and 5 baptized. This is a town of 40,000 and the church has purchased some prime property and will soon be going into a building program. I am excited for them. I preached tonight on “The Path To Successful Personal Soul Winning.” What a great spirit this church has. The people responded and hopefully the soul winning crowd will be up this coming Thursday night when they conduct their soul winning meeting. The pastor brought a young couple tonight and the wife trusted Christ and was baptized. This man of God is leading by example! GOTTA LOVE SOUL WINNING! One of the families in the church here was a member of Longview Baptist Temple for many years. 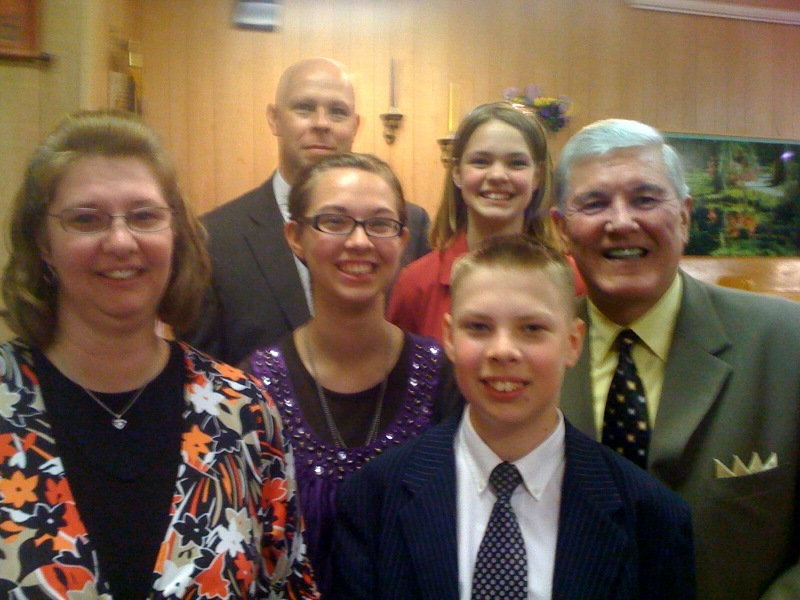 They relocated to Wichita, Kansas, and drive some 30 miles to attend church here with Pastor Haley. What a blessing these folks have been to me since coming to town. This afternoon Clay brought some strawberries by the motel for me. In the picture you have Clay and his wife Tamara. Charity who is 16, Isaac who is 15, and Mariah who is 13. I cannot believe how much those kids have grown since I last saw them. They are all personal soul winners. GOTTA LOVE SERVING THE LORD!